I know how hard it is to have all the travel resources in one place, to I decided to create this post, which I’m planning to update constantly. Here you can find almost all what you will need for successful travel planning AND travel blogging. 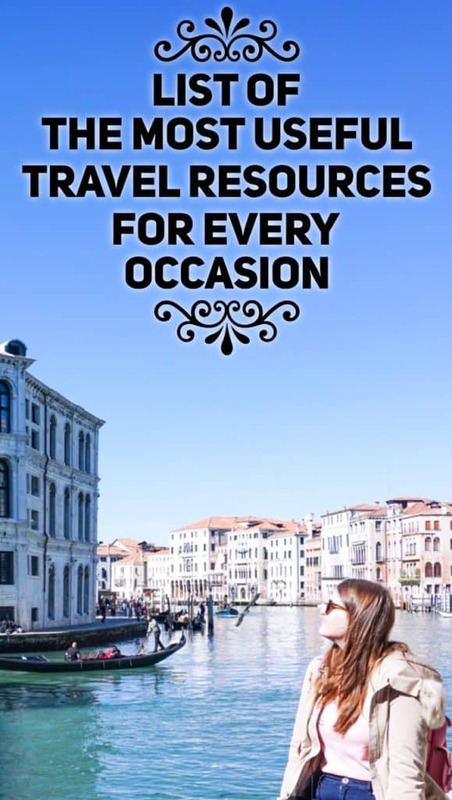 I decided to create one collection of resources for both, traveler and travel bloggers, so if you’re interested in hosting providers, plugins and many more things, scroll down to the second part of the post! Moreover, some of the links are actually coupons for discounts, so you can use them and get a discount for a hotel or a flat or even a hosting. Airbnb – Get 25$ off your next Airbnb stay! You can get even more money, if you rent your flat or room on Airbnb. Some extra income would cover some of your future trips, so why not to try it? HouseTrip – HouseTrip is the rising competitor of Airbnb. Check out our travel shop here at Tripsget (We’ve been working hard to display the best rated travel goods in all the categories). Also, we sometimes review the best travel accessories on this blog, in case you’re interested, check our recent reviews of Pro Packing Cubes and Cabin Zero Travel Backpack. Visual Composer – the best plugin ever! It allows you to create custom layout of your posts and pages and even a static page! Note that some of these travel resources links are affiliate. This means that we’ll get a wee commission, if you purchase something using our link. That, however, doesn’t make the transaction more expensive for you, on the contrary, you’ll get a cheaper price because we have some pretty awesome discounts for you. Liked this list of travel resources? Save in on your social media or better on Pinterest!